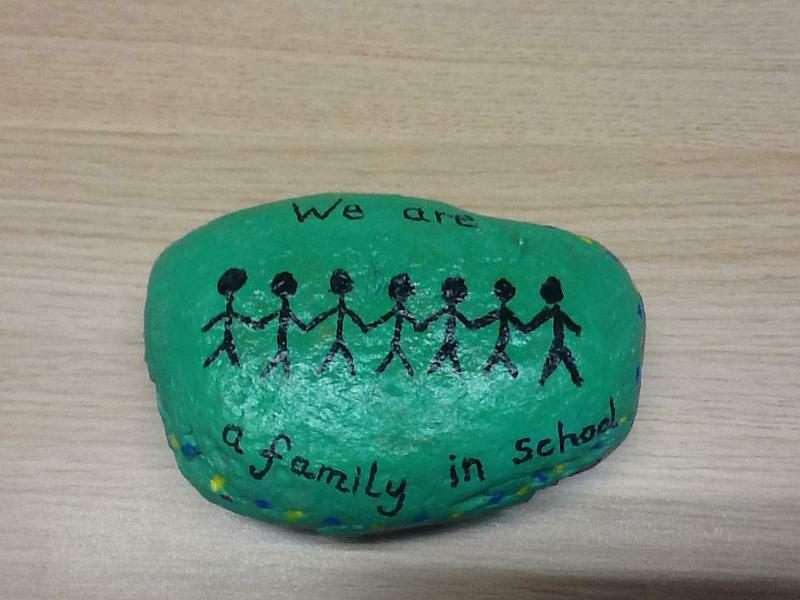 In September 2017 Miss Myszkowski invited all children across the school to take part in a competition. 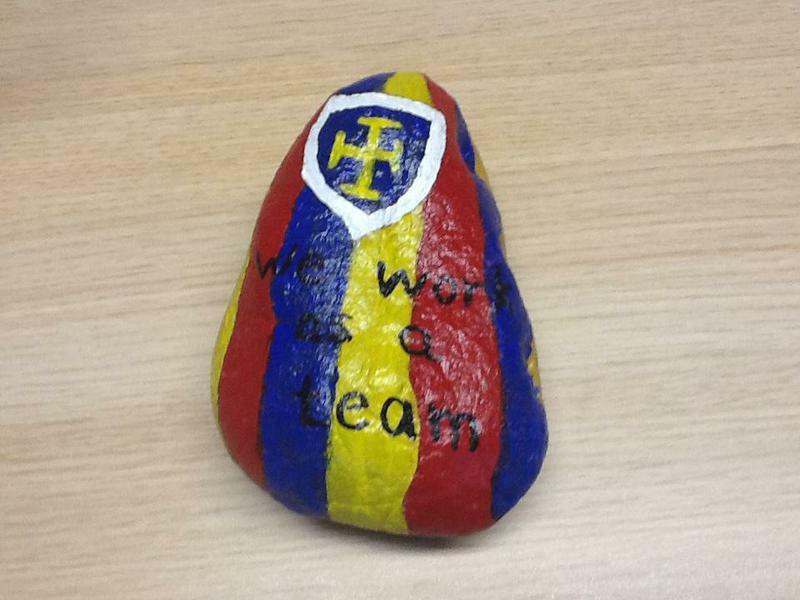 The competition was for everyone to design a Collective Worship pebble. 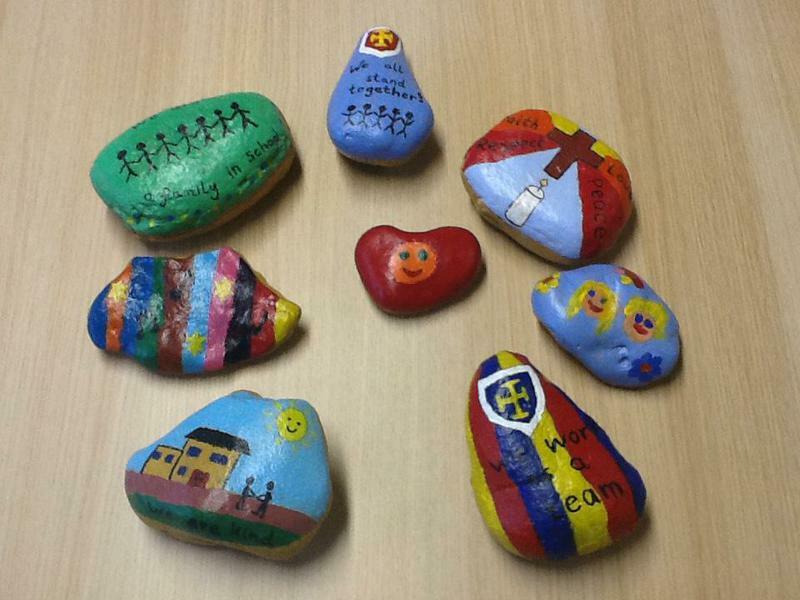 The designs were given to Mrs Newbold, who selected the winning entry for each class. 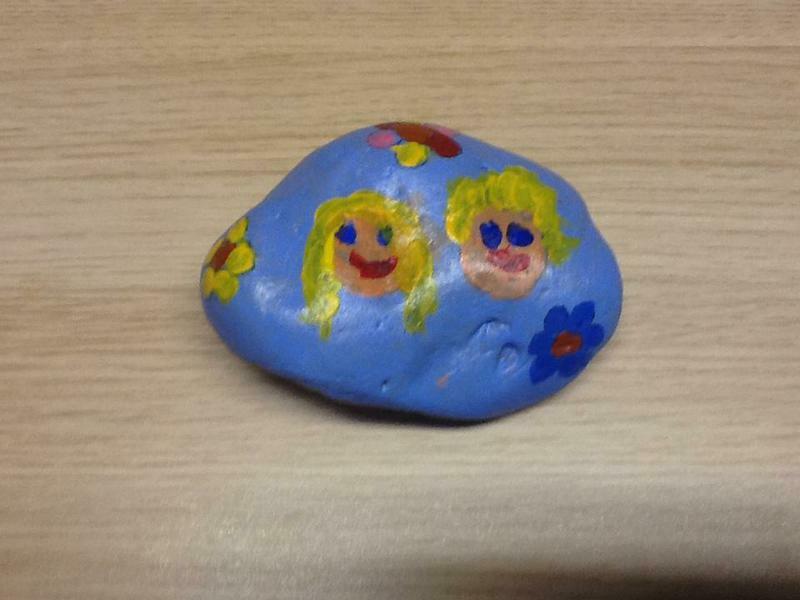 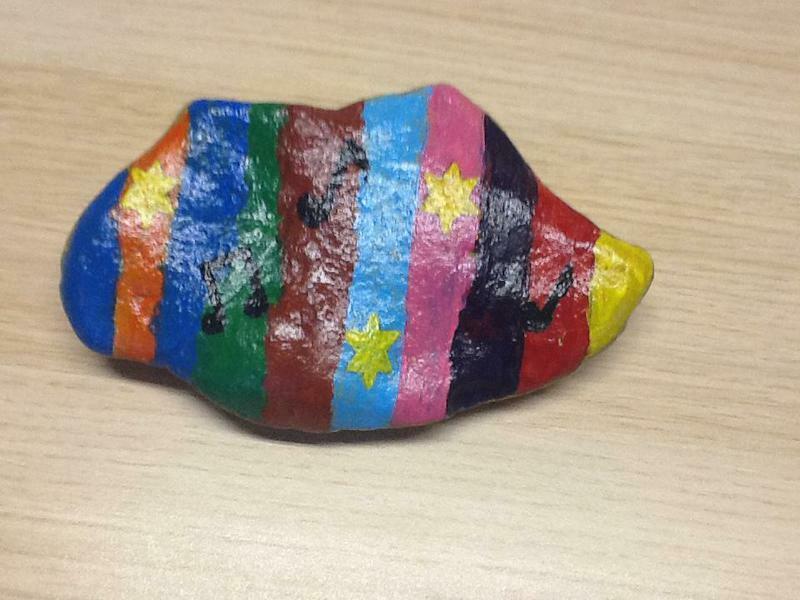 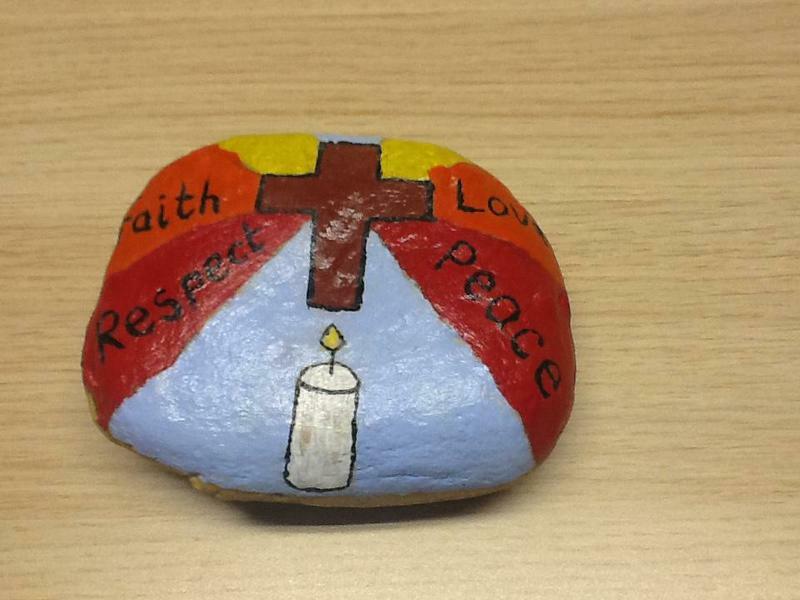 She then worked with those children to paint the pebbles for each class. 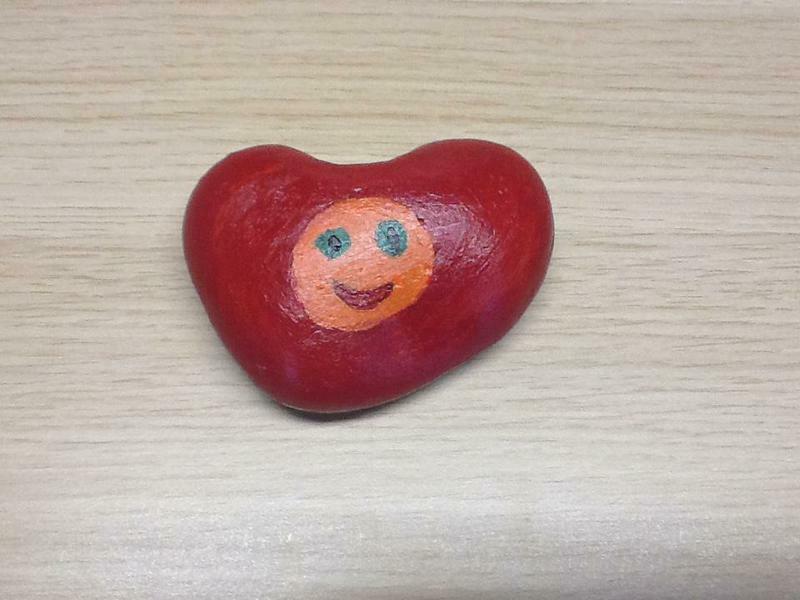 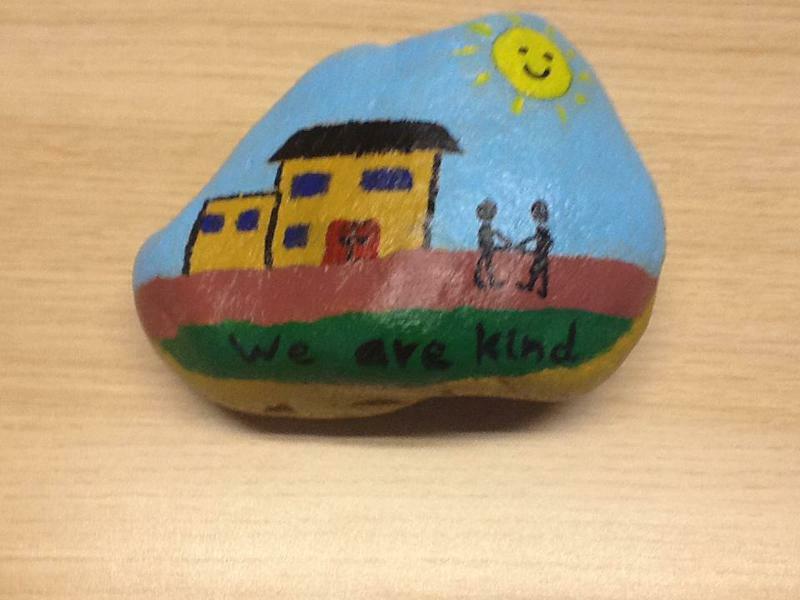 The idea behind the pebble is to represent the children in each class in our school. 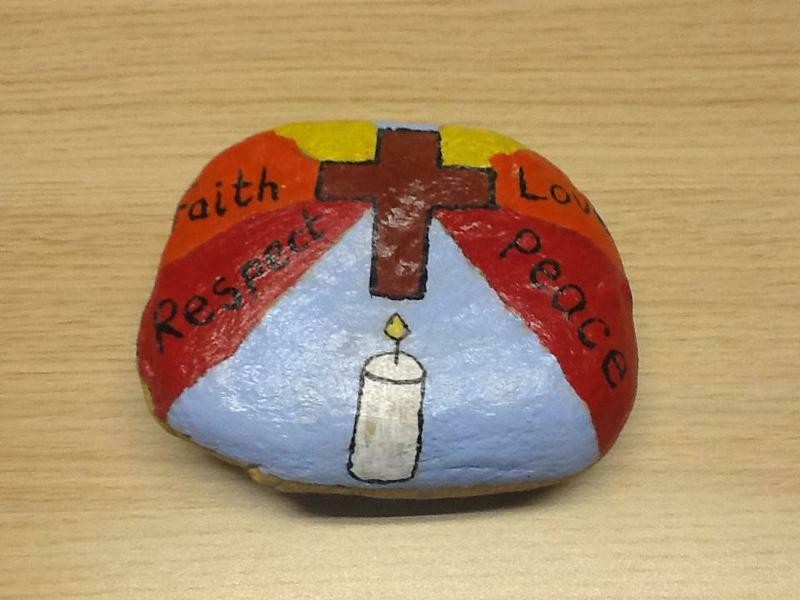 Each pebble will live in the Reflection Areas in each classroom and carried into our whole school Worship sessions, where the pebbles will be placed on the table with the cross, bible and candle, which represent the Holy Trinity. 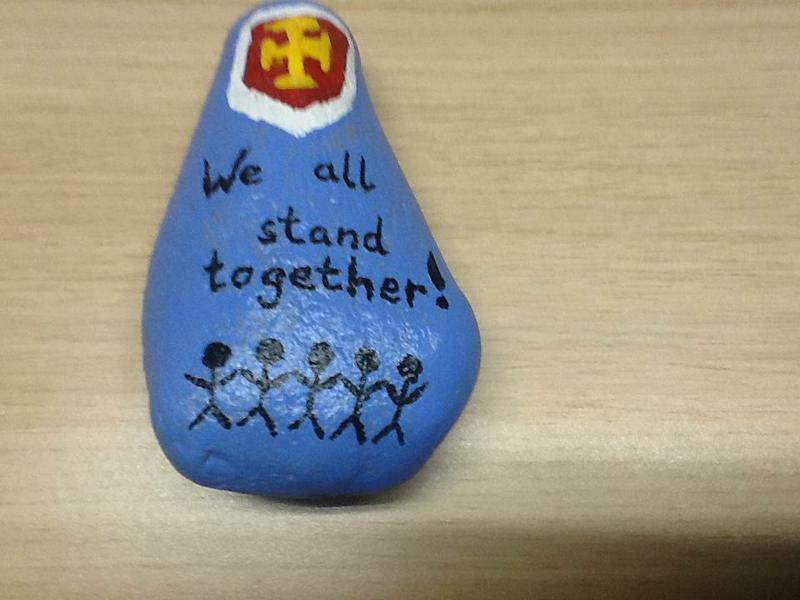 The pebbles symbolise how we all come together in worship and together embrace our school values of Fellowship, Creativity and Courage.